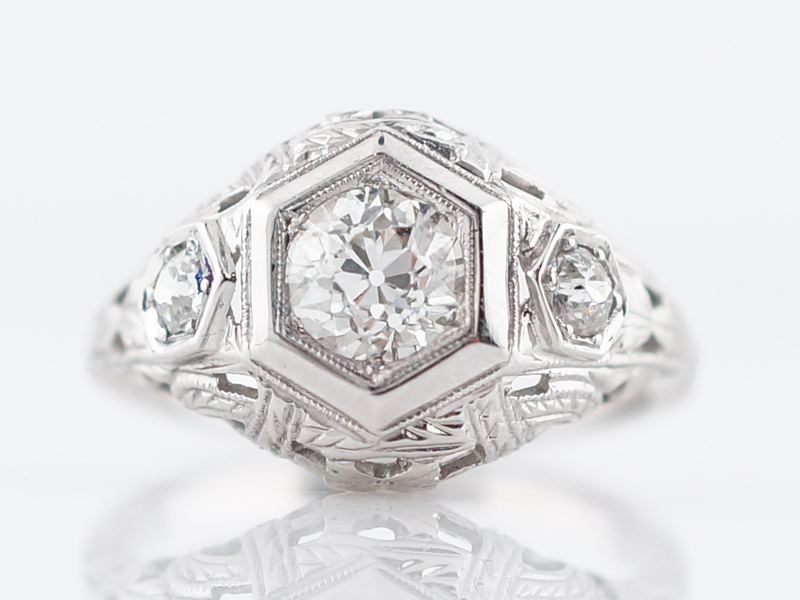 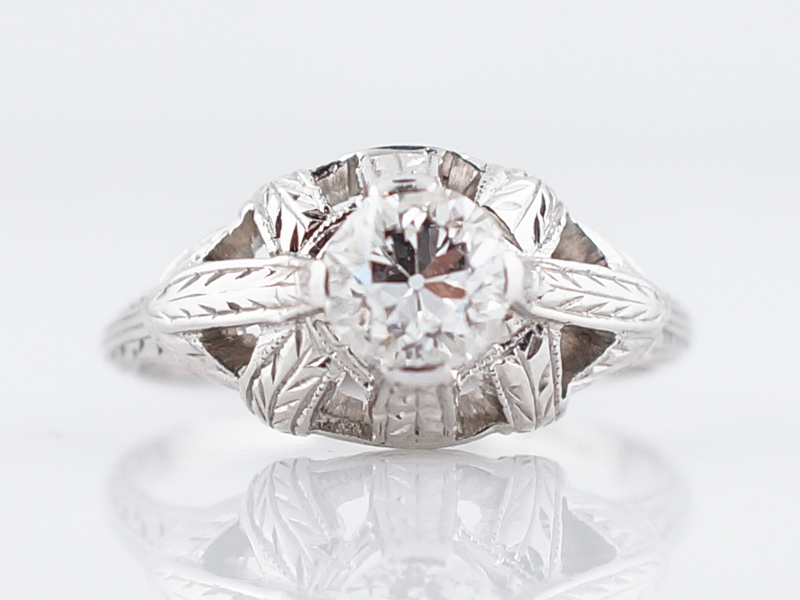 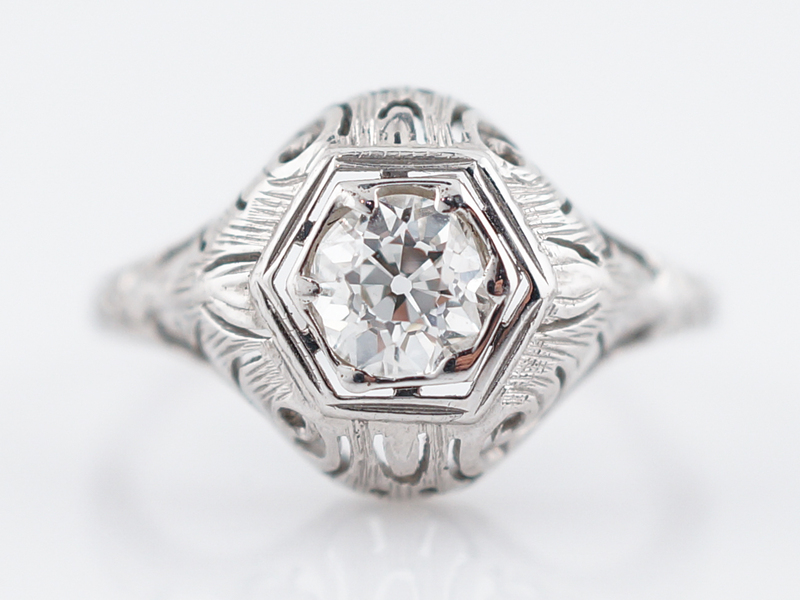 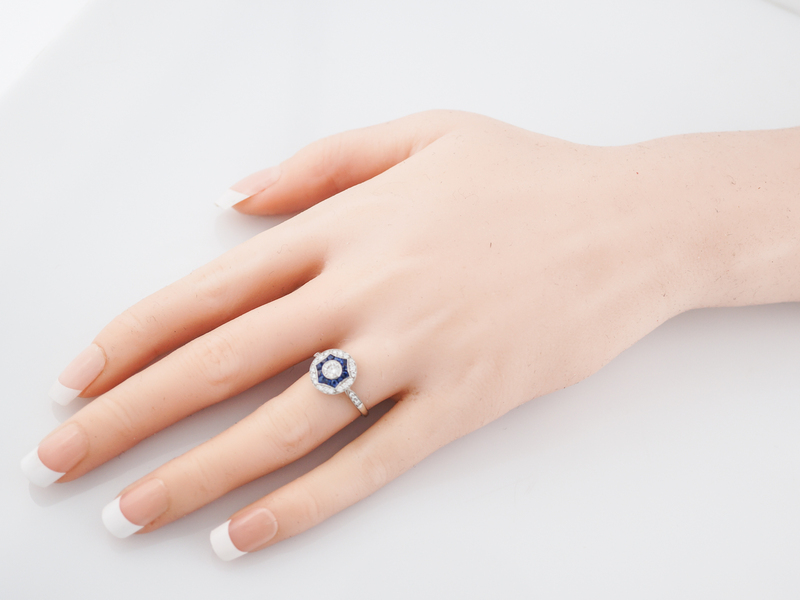 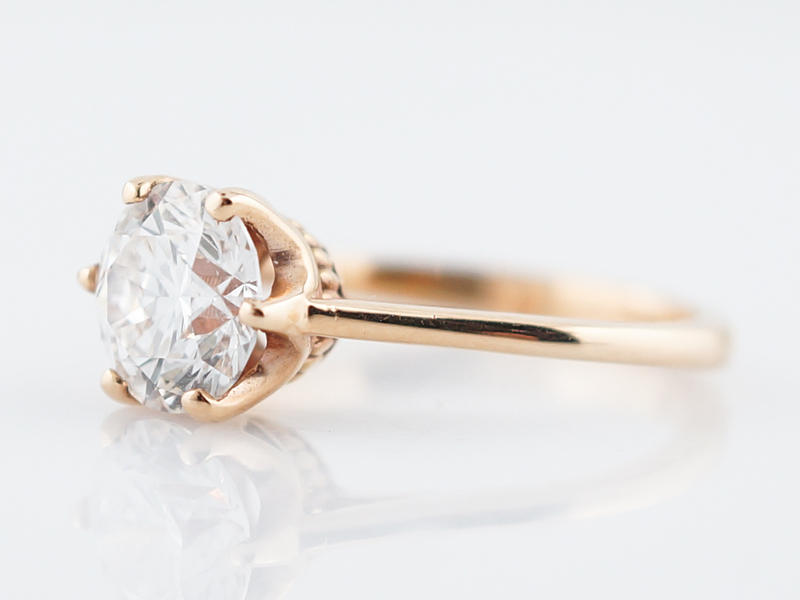 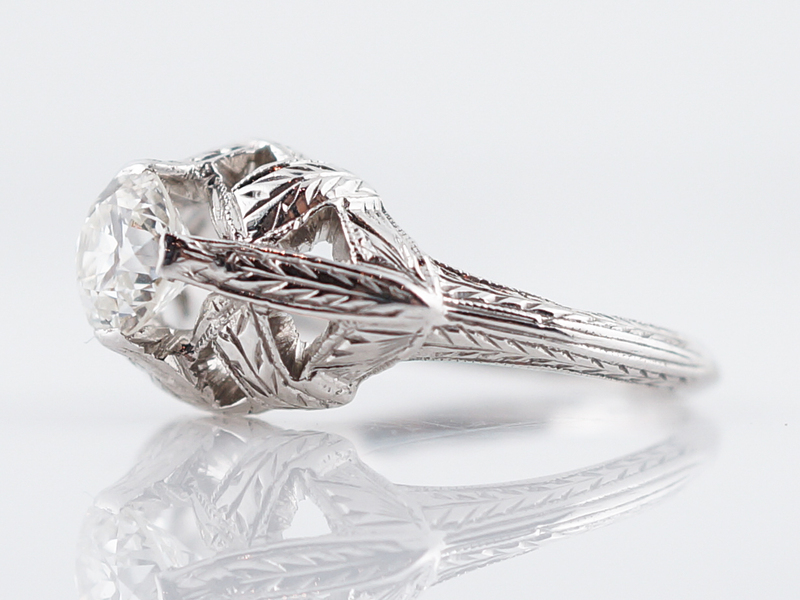 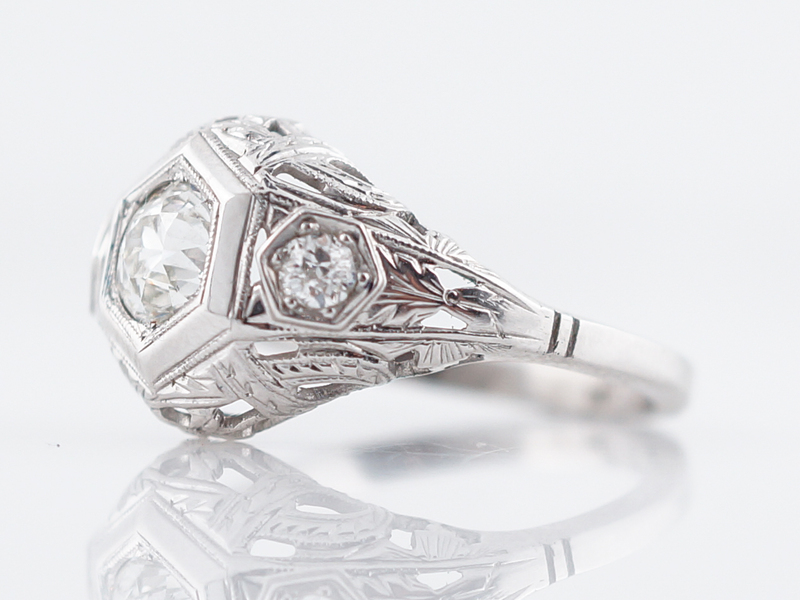 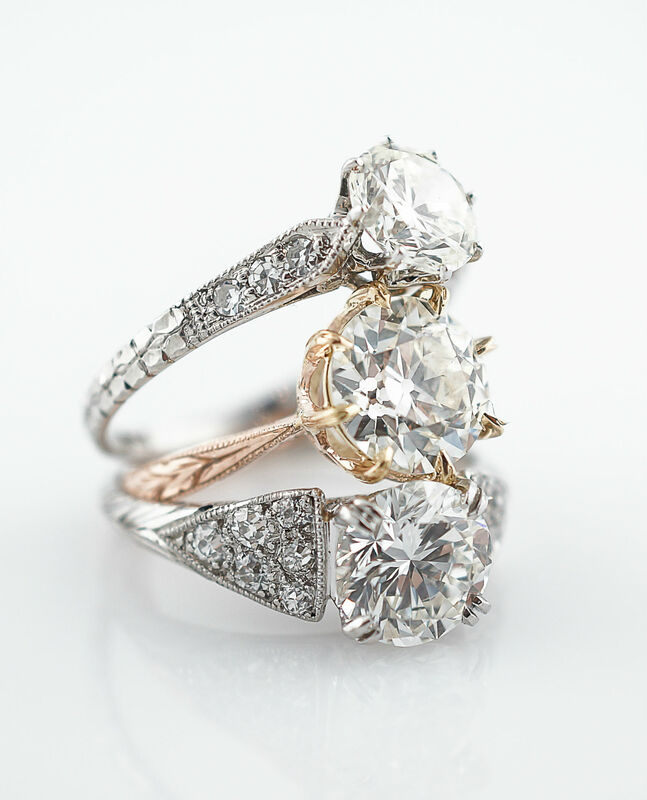 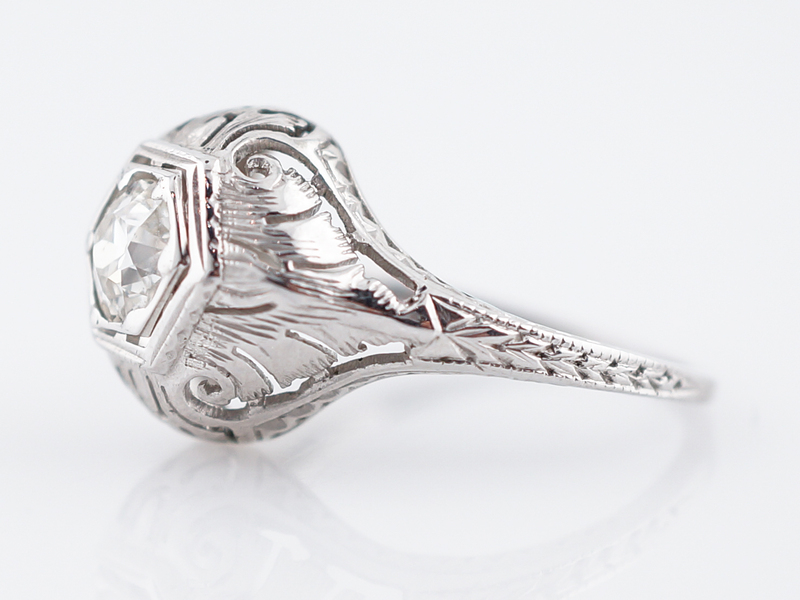 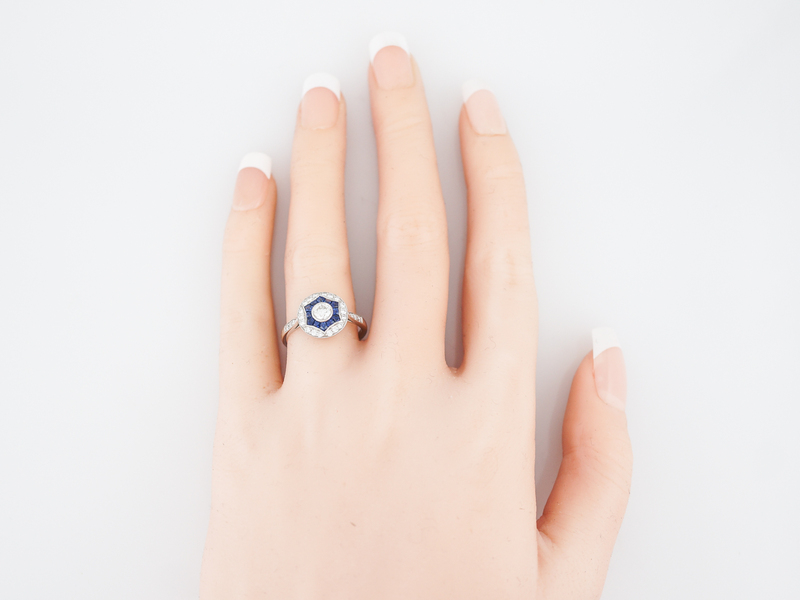 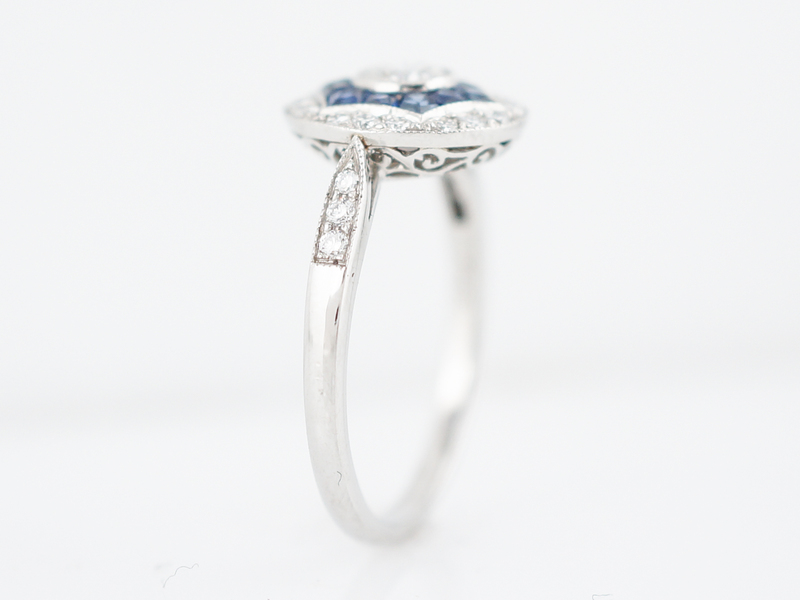 This Modern engagement ring is inspired by Art Deco designs. 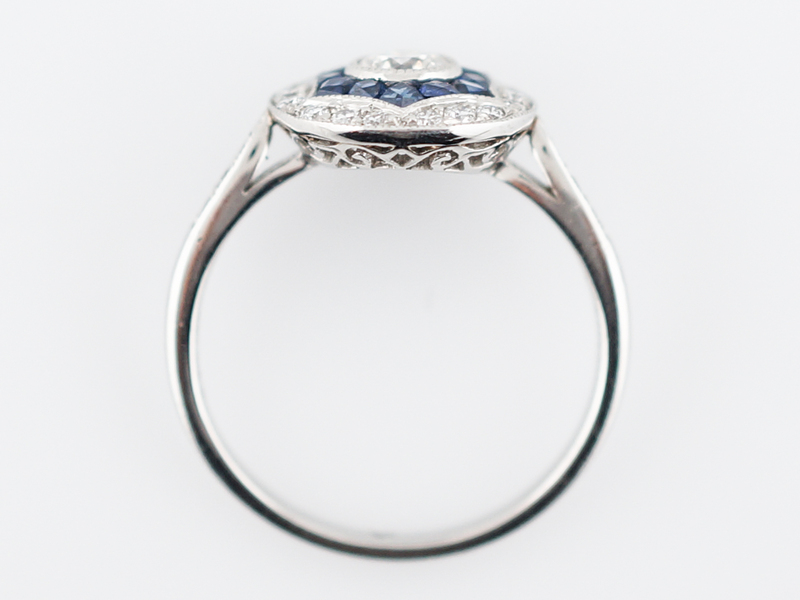 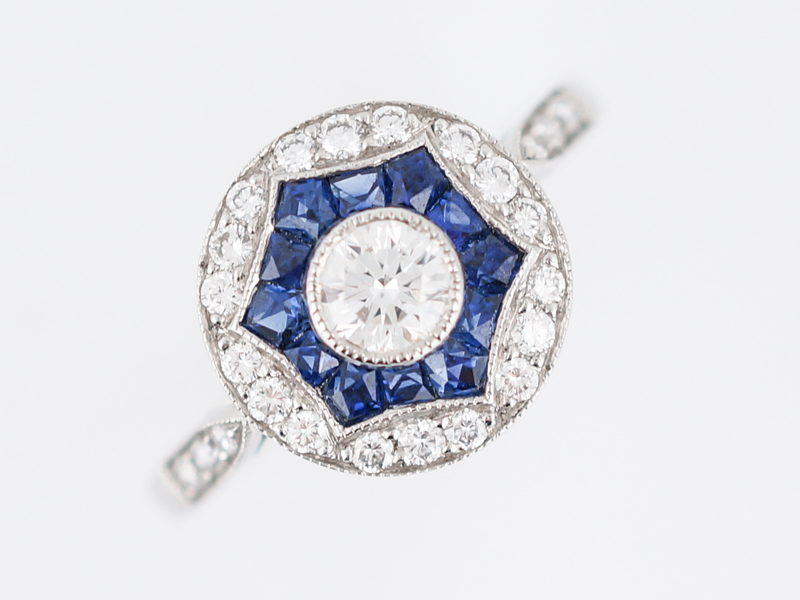 The center diamond is a bezel set round brilliant cut that is surrounded by sapphires. 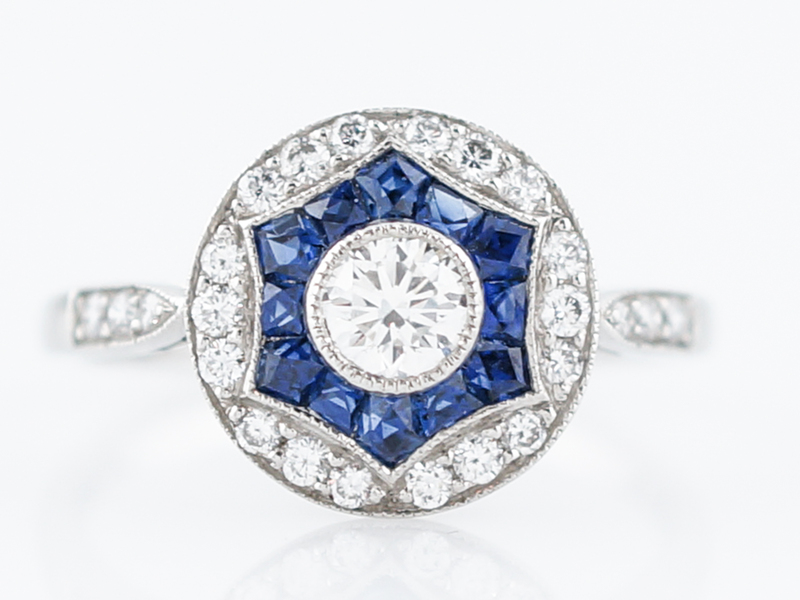 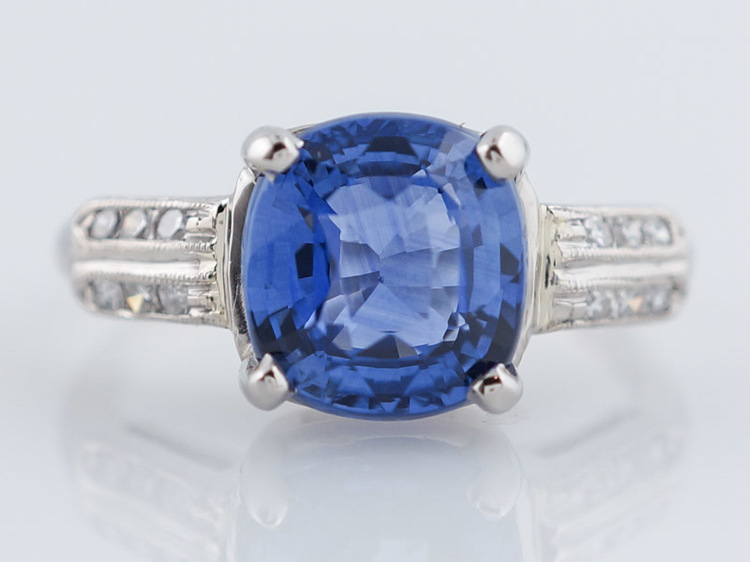 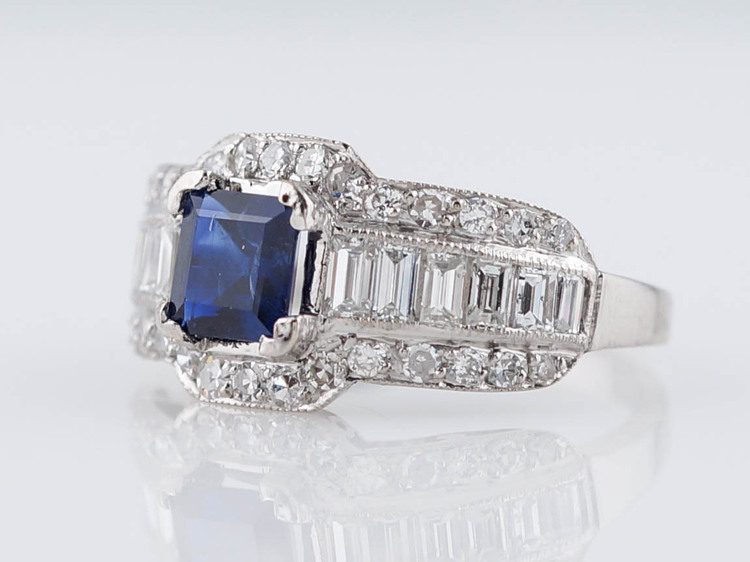 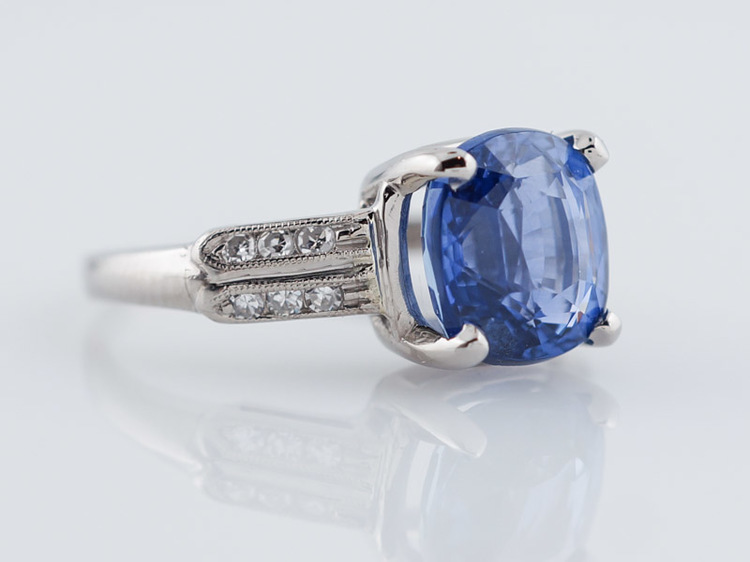 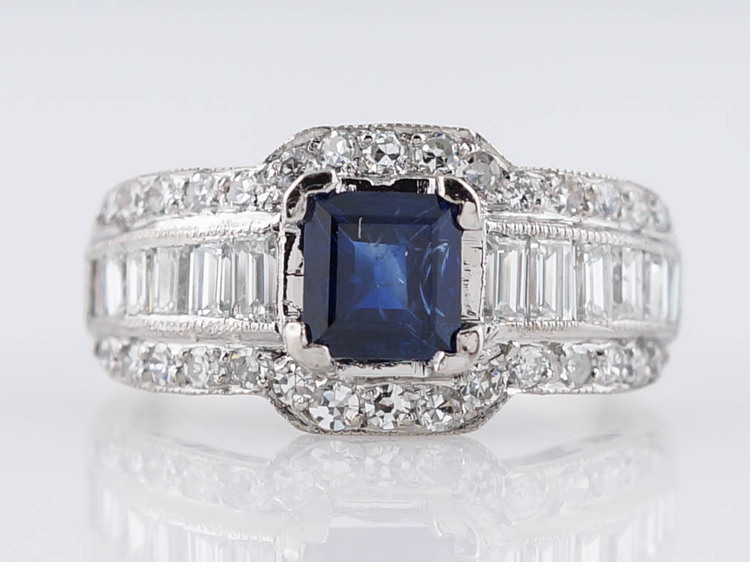 The stunning sapphires are French cuts that form a star shape around the center diamond. 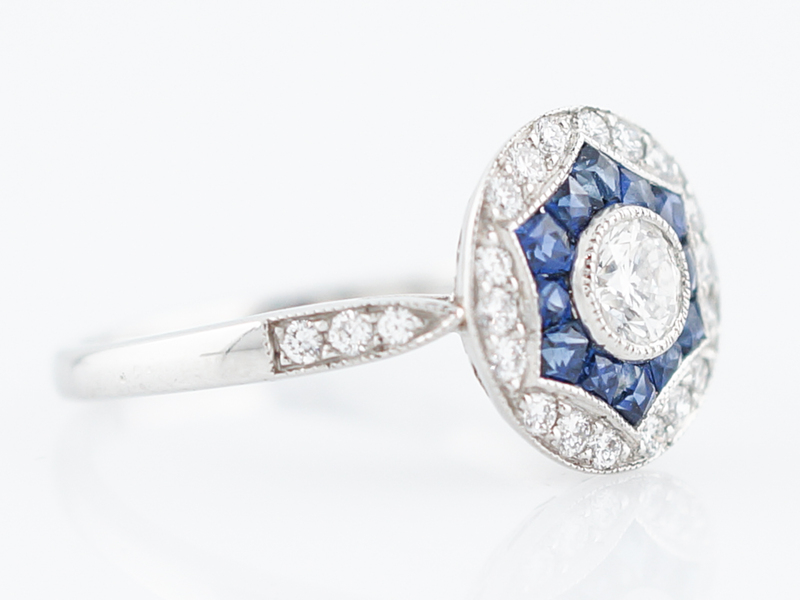 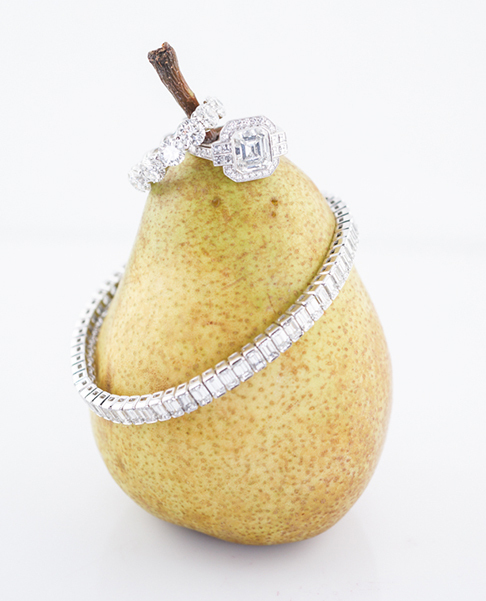 The sapphires are framed by more round brilliant diamonds. 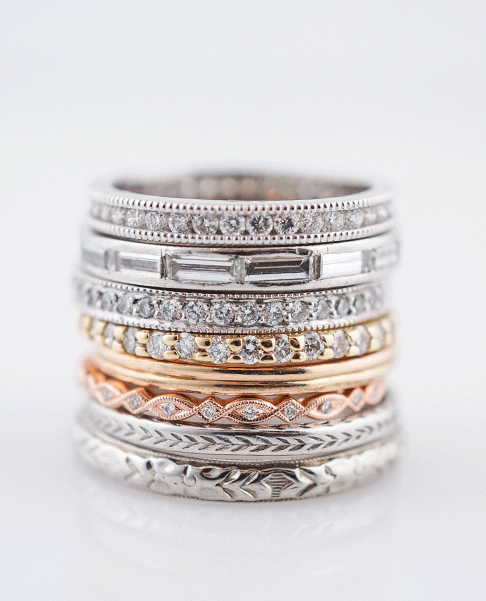 The shoulders of the band also have small diamonds and the band has a high polish finish. 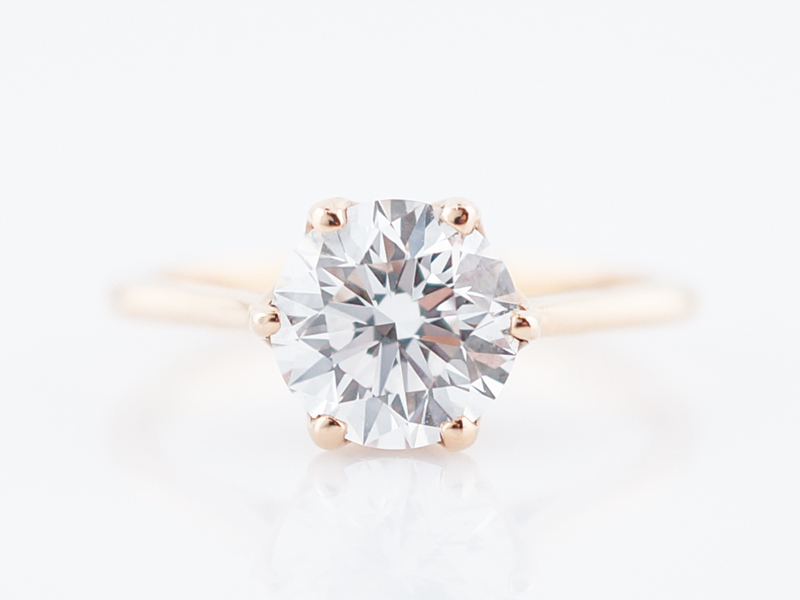 The entire ring has crisp milgrain detailing separating each layer, making them more defined and giving them added dimension. 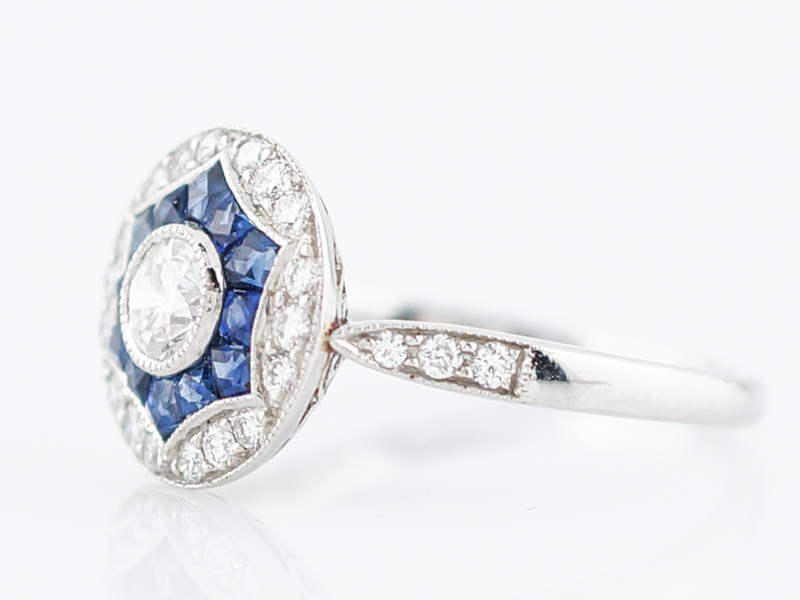 This is a striking ring that would be perfect for everyday wear because of its low profile.